After working in Asheville for a short time, I immediately learned how important the freelance community is here, and how much passion I have for working with independent creatives. 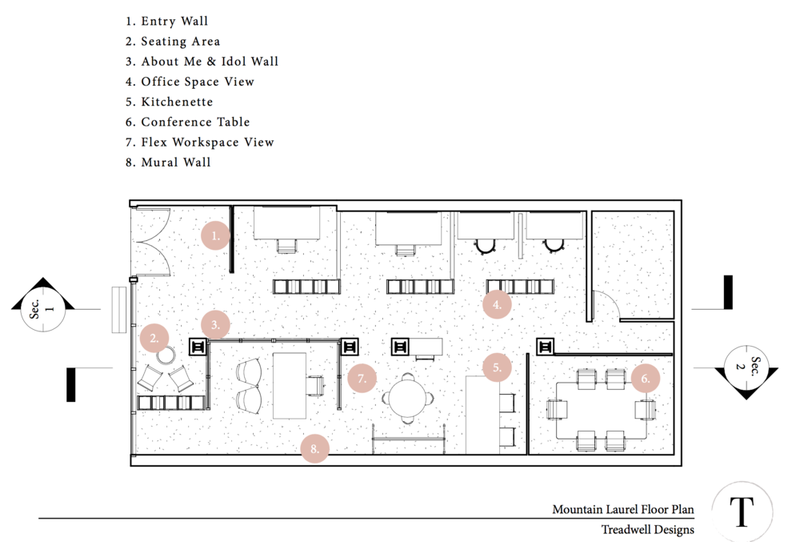 Before long, I began to dream up the idea of creating an office for Mountain Laurel Digital-- a physical hub for professionals to develop business strategy and to serve the brands we love. My vision was not to simply create a space that would allow me to grow my own business, but to also create a space that would be inspiring and beneficial for a posse of talented freelance colleagues whose skill sets work symbiotically with MLD’s. The path of the independent contractor can sometimes be lonely. Sharing an office with others opens up new doors; it comes with all of the benefits of being an independent business owner, while being able to work alongside and collaborate with others. Ultimately, a shared space provides an opportunity for creatives to help their peers grow their businesses and increases their value to their clients! It was decided. Mountain Laurel Digital was going to have a brick and mortar with other amazing marketing and tech-savvy professionals. Assembling the right tribe for this collective studio space came naturally. I was already working closely with several industry peers who I turned to for both creative collaboration and business growth purposes. We all believe that working communally inspires innovation. We’re creating this space to support each other as independent business owners working to offer the highest quality services to our clients. I’m the founder of Mountain Laurel Digital, a search intent driven SEO + marketing consulting firm in Asheville, NC, offering services for organic search, content, market research & brand strategy. As the owner of Rotanz Design, Katie specializes in exceptional logo, print & Squarespace website design in Asheville, NC. Working as Lydia Roberts Web Design & Development, this mega talented woman offers email newsletter design, MailChimp consulting, and custom WordPress websites in Asheville, NC. As the Content Strategy Partner to Mountain Laurel Digital, Caitlin is an uber talented writer and content creator with a love for mission-driven and arts-focused brands. As the Marketing Assistant at Mountain Laurel Digital, Kelli is a self-driven marketer with a focused experience in electoral campaigns and non-profit advocacy. She utilizes her passion for online content creation to grow and advocate for non-profits and creative brands. She’s the owner of Treadwell Designs, a full service commercial and residential interior design studio. She’s creating spaces to experience. Once the A-team came together, we needed to land firmly in a place that felt creative and artistic, a place bursting with inspiration and passion. Pretty soon the perfect location revealed itself; it was near friends like Amplified Media and other incredible businesses and galleries, and it was in one of the most colorful yet peaceful parts of town: the River Arts District in West Asheville! We were elated when the stars aligned in March and we could officially tell the world that our shared studio is located at the end of Depot Street near Penny Cup, with a large parking lot across the street, making this spot convenient and near those much-needed, good feeling art vibes. How is the Modern Woman our Inspiration? We’re modeling the collective space after the modern woman. Each of us sharing the studio are women leading successful, independent, tech businesses. Modern women, in our collective vision, possess assertiveness, softness, determination, ingenuity and compassion equally. Modern women are leading change and growth in our society. Seeing and hearing women from all over the world showcasing fierceness, elegance, and intelligence keeps the fire within stoked: being your best self while uplifting others is the essence of a modern woman. We want you to feel this (whether you’re fortunate to be female or not) when you enter our professional domain. 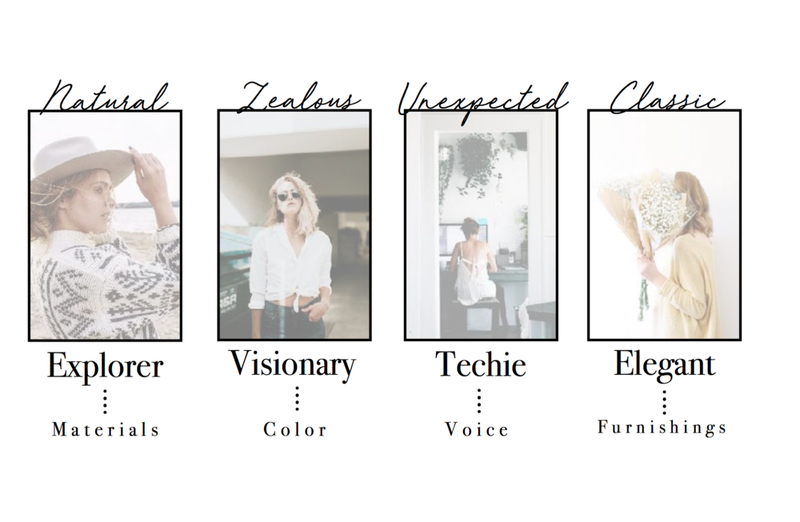 The theme of the style direction is “contemporary retro,” which stems from the desire to have a harmonious mix of soft retro accents with contemporary building materials. The goal of this styling is to develop an impression in the space that feels organic, natural, modern, sophisticated, and witty. The color scheme will include a mixture of pastels, whites, light birch wood, slivers and greenery. We cannot wait to welcome you with open arms into our studio space. You, our fellow community members, clients, and partners, lend inspiration and vision to this collective space. You’ll meet the tribe as you nestle right into our productive conference room, or enjoy quiet moments with a mug of coffee in our communal area. We hope you’ll appreciate the nuance, richness, and power in creating an intentional space to foster success and longevity in Asheville’s talented network of creatives, small business owners, and dreamers. Keep an eye out for our open house party happening in late July.